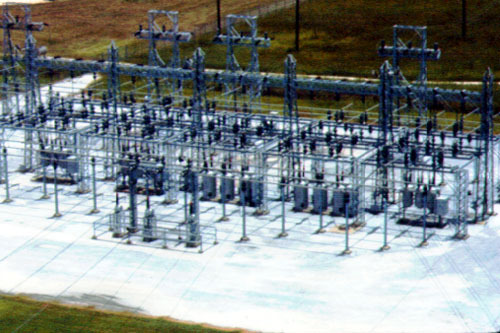 The transmission substation is a common point of connection of the electrical system to other utilities and large cogenerators. Electrical meters can be placed on the incoming and outgoing wires to measure the amount of electricity flowing into and out of each utilities system. The interconnected electrical system allows large amounts of electricity to flow back and forth between utilities enabling them to buy and sell power from one another and provides an additional measure of reliability. Interconnections will become increasingly important as deregulation occurs. Certain interconnections are already nearing or have reached their full capacity and many experts fear a deregulated environment will only worsen this problem.